“It wasn’t easy, but it was available,” she said. Now she worries what would happen under the Republican plan if she left her job at a home health company that provides insurance. Since the Affordable Care Act was enacted, companies have become less worried about people who want to leave but feel locked into their jobs because of health insurance, said Julie Stone, who works with corporations at Willis Towers Watson, a benefits consultant. The law “removed one of the barriers to leaving your job,” she said. Fewer employers now offer health insurance for their retirees, she said. The other alternative is Cobra, the federal law that requires companies to allow workers to remain on their employer’s plan if they pay the full monthly premiums, which are often extremely expensive and out of reach for many people. The coverage generally lasts no more than a year and a half. Cobra was a “Band-Aid on a broken market,” Ms. Stone said. Dr. Marie Valleroy at her home in Portland, Ore. When multiple sclerosis made it increasingly difficult for her to see patients, Dr. Valleroy was able to stop working because she could afford to buy insurance on the federal exchange until she was old enough for Medicare. But the budget office also warned that markets in states that allowed insurers to charge higher premiums for people with pre-existing conditions — whether high blood pressure, a one-time visit to a specialist or cancer — could become unstable. Some places are already experiencing a dearth of insurers. More companies could exit as they struggled to make money in highly uncertain conditions. Millions of people could also wind up with little choice but to buy cheap plans that provided minimal coverage in states that opted out of requiring insurers to cover maternity care, mental health and addiction treatment or rehabilitation services, among other services required under the Affordable Care Act. Consumers who could not afford high premiums would wind up with enormous out-of-pocket medical expenses. The individual market has always been characterized by heavy churn, and insurers struggle to meet the needs of these short-timers, particularly the young and healthy, for whom coverage can be expensive. “It’s a huge challenge, even independent of the A.C.A.,” said John Graves, a health policy expert at Vanderbilt University. Insurers say they have had a hard time accurately estimating the medical costs of the changing pool of customers who need relatively short-term coverage and pricing their plans high enough to cover those costs. Aetna, one of the large national insurers that has decided to leave the market, said about half of its customers were new, and it blamed “high churn” as one reason the company lost money. Older people with potentially the most expensive conditions account for almost 30 percent of those who enrolled for insurance on the exchanges this year. David Clark wanted to retire from his job at Sam’s Club at age 62, three years before he would qualify for Medicare. He and his wife, Phyllis, who now live in Delray Beach, Fla., were not in good health. He has a heart ailment, and she has diabetes. Before passage of the Affordable Care Act, he said, he would have had to keep working. “We wouldn’t have been able to buy insurance at any price,” he said. But he was able to retire and get coverage on one of the marketplaces. “This has been three of the greatest years of our life,” said Mr. Clark, who spends much of his time mentoring college students. When he needed triple bypass surgery at age 64, he was covered. Many people are keenly aware that the existing marketplaces provide a safety net, even if it is far from ideal. Dr. Marie Valleroy was able to stop working because she could afford to buy insurance on the federal exchange for four years until she was old enough to get Medicare. 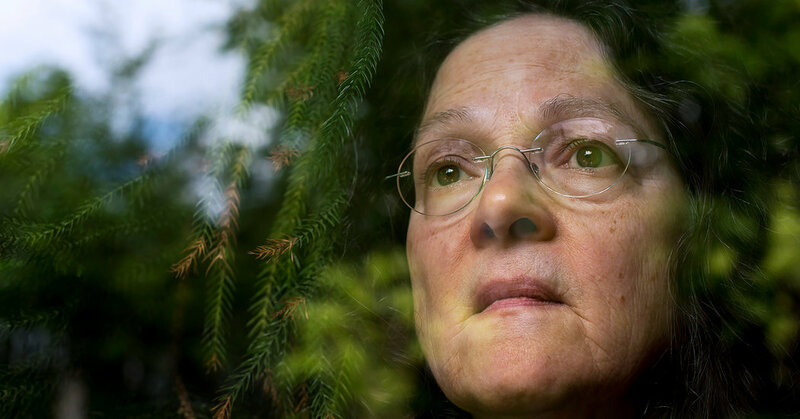 She has multiple sclerosis, and her symptoms were making it harder for her to see patients in Portland, Ore. “It was time for me to retire, truthfully,” she said. Her medications cost upward of $5,000 a month. And the law made it possible for Bobby Evans, now 35, to move to New Orleans two years ago to be with his girlfriend, now his wife. Because he was working part time until he could find a permanent position, he bought a policy through the state marketplace. He and his wife have talked about opening their own consulting firm, but the plan is being delayed, he said, depending on what happens with the federal law providing individual insurance. “Health care is a big-time barrier for a lot of people’s professional growth,” Mr. Evans said.